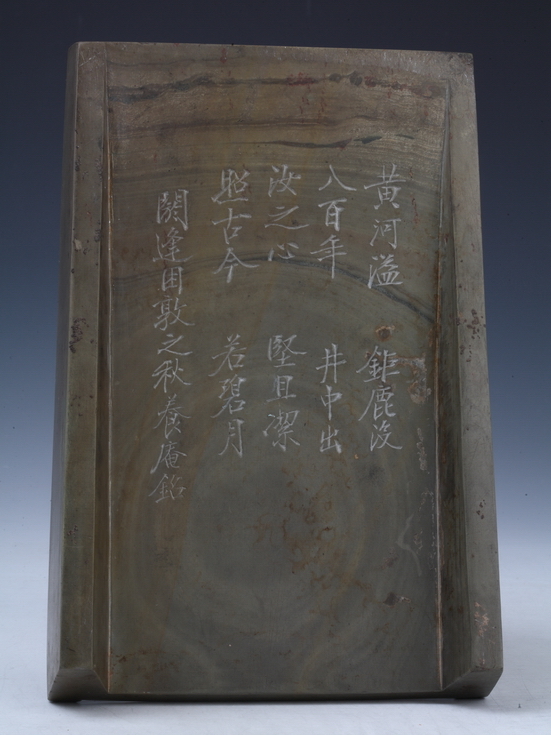 This rectangular scribe-style inkstone is made of delicate and smooth yellowish-green stone. 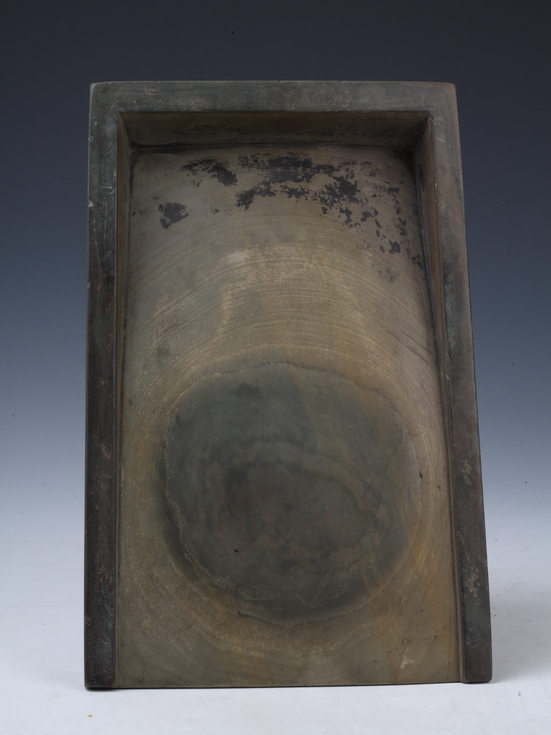 The face of the inkstone is marked with a subtle pattern resembling growth rings in wood. It is solidly modelled and displays archetypal Song dynasty characteristics. 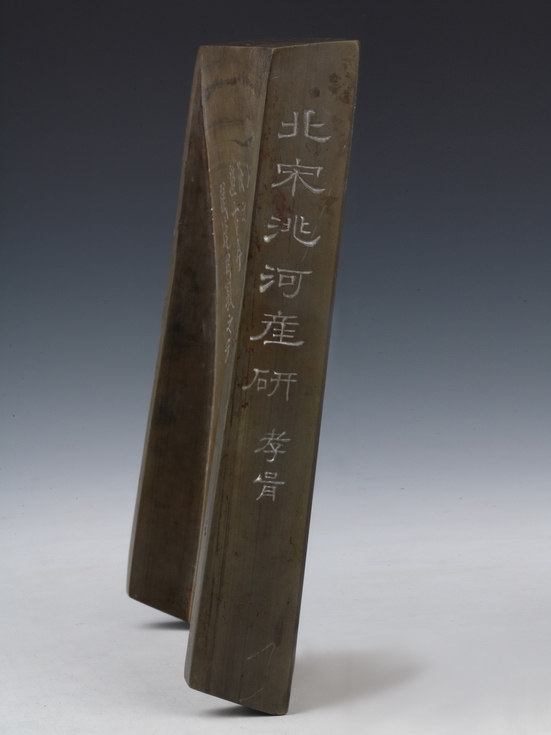 The back of the inkstone is incised with an inscription by the early modern calligrapher Zheng Xiaoxu. The piece has high artistic merit and historical value.